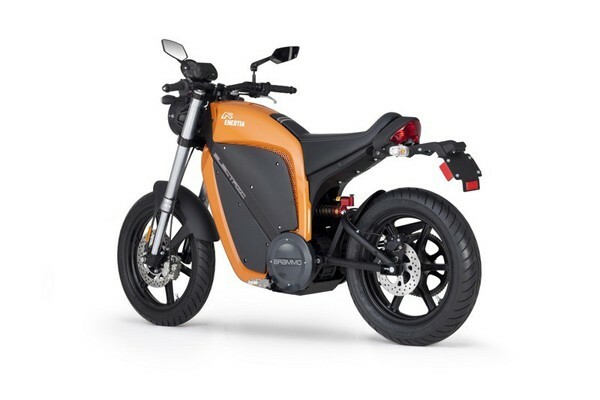 The Brammo Enertia electric motorcycle -- which we took for a joyride around the streets of New York City last month -- can now be yours, as it's officially on sale. The eco-friendly bike has a horsepower rating of 13.7, with torque at 31 ft/lbs, and weighs about 280 pounds. With a top speed of about 50 miles an hour, the bike's got a 45 mile range before needing a 3 hour recharge. It's not the most powerful of motorcycles to be sure, but it's got plenty of style, and it can be yours for about $12,000. I think these will sell well. Should'nt bother anyone that they could have gotten 3 brand new ninja 250R's for the same price. Porlly so. Some rich green wanna be . But give em 5 years and I think electrics are gonna get a lot better. Faster and Faster, Slowly! BRAWP it like its hot, BRAWP it like its hot. 45mi range in TX means nothing. everything is too spread out. "Me? I stand for uncertainty, insecurity, bad taste, fun, and things that go boom in the night." Yep and a 50 mph top speed ain't going to cut it either. They may be available, but they're not ready. I'm looking forward to when they are. the technology should be better and more afford able in 5-10 years.